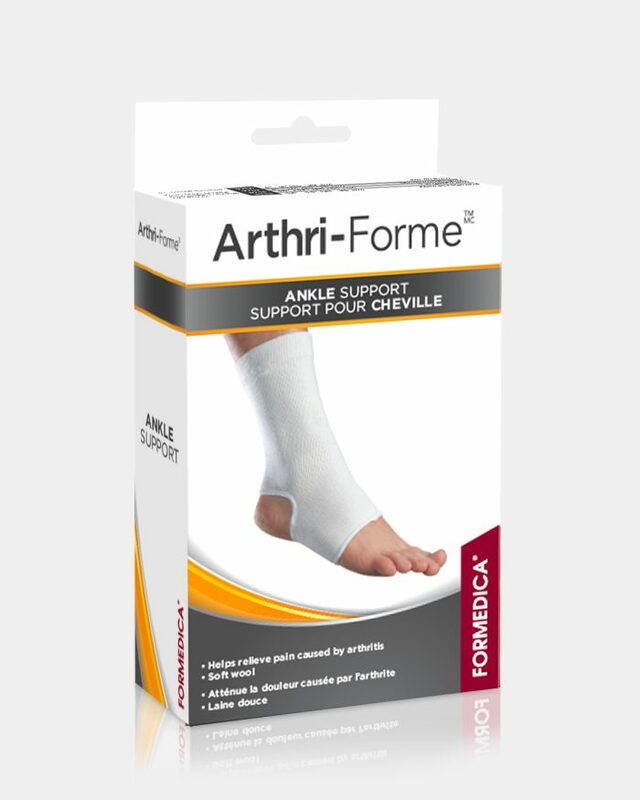 Designed to stabilize joints and help reduce risks of ankle injuries. The Elastic Ankle bandage stretches and wraps around the ankle, providing moderate support. 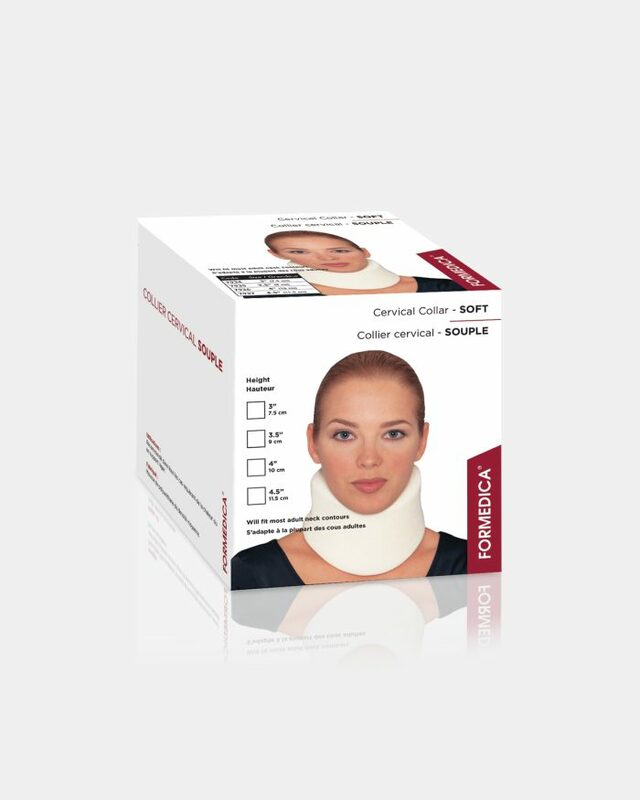 It may be used during and after activities. 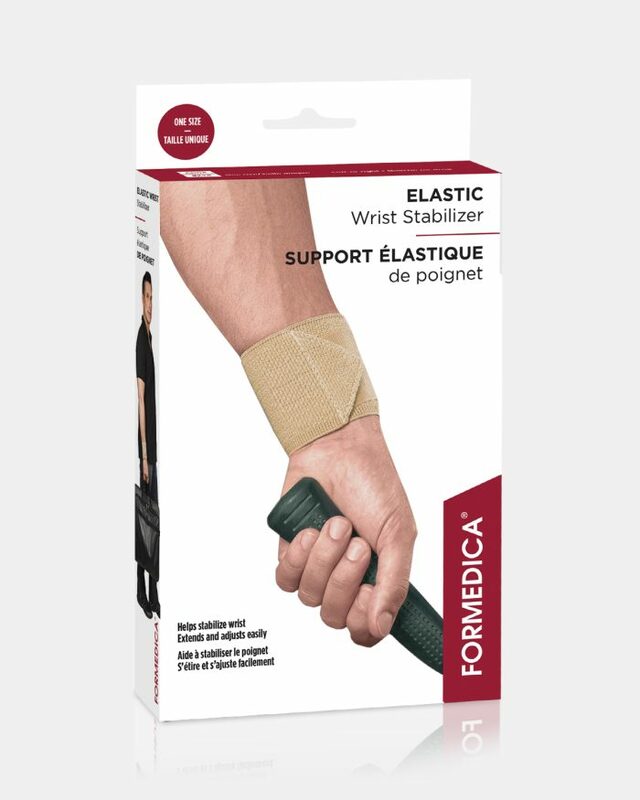 Made of: 60% Polyester, 27% Elastic, 13% Nylon – Latex free. 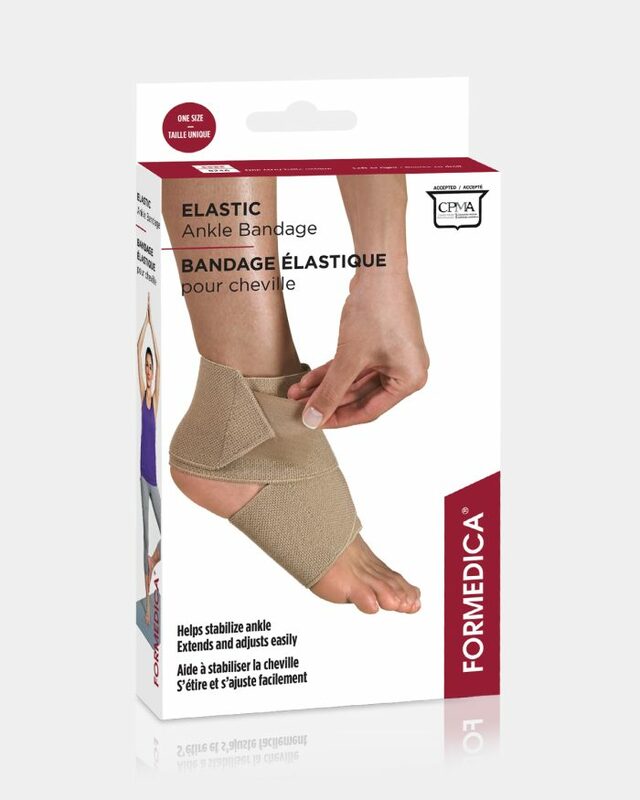 Stretch the bandage to wrap it around the ankle (step 1). 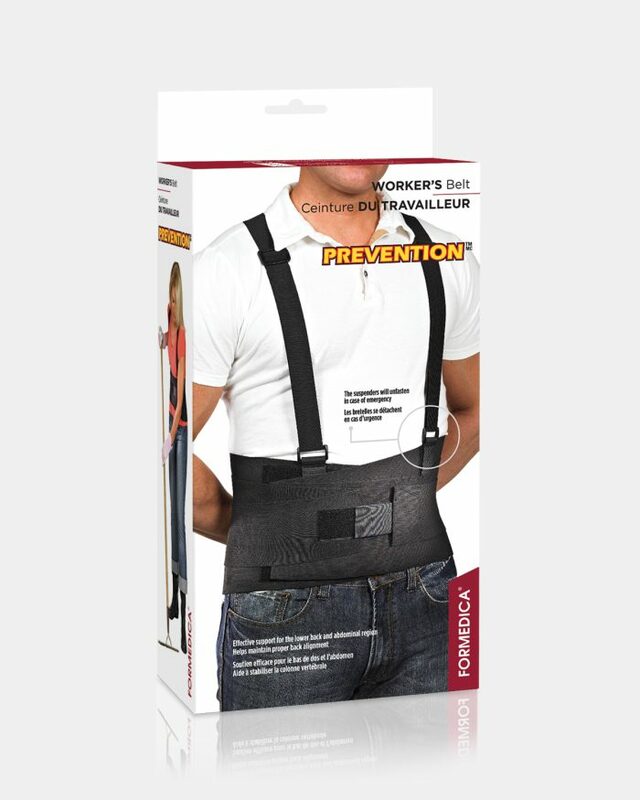 Adjust tension by properly attaching the Velcro® strap (step 2). Adjustment : Slip the sleeve on, ensuring that the gel pad is directly over the heel bone. The gel pad should not go under the bottom of the heel. Remove product at least 3 to 4 hours daily to allow skin to breathe. 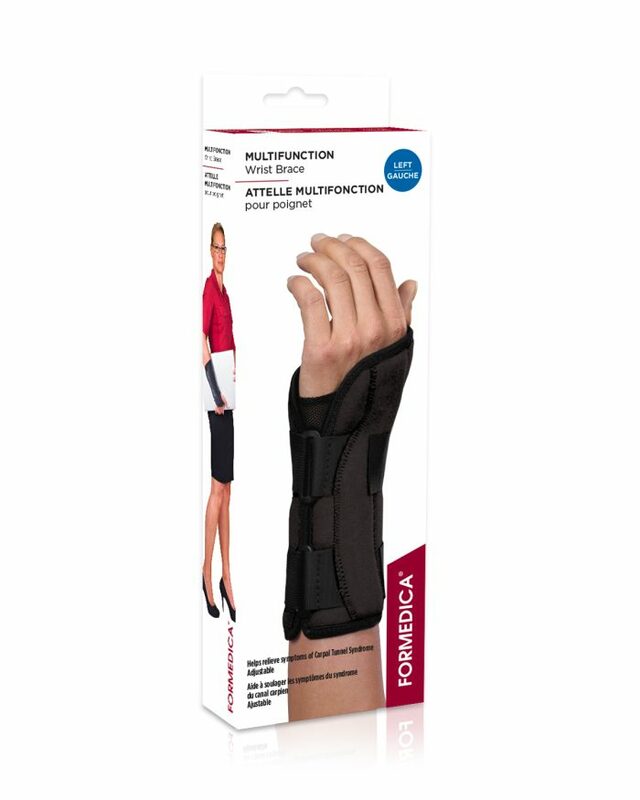 Made of : Non-constructive nylon /lycra fabric. Medical grade mineral oil (USP) that dissipates onto the skin. Latex-free. Cleaning : Wash by hand with mild soap and air dry. Sprinkle with talcum powder when dry. 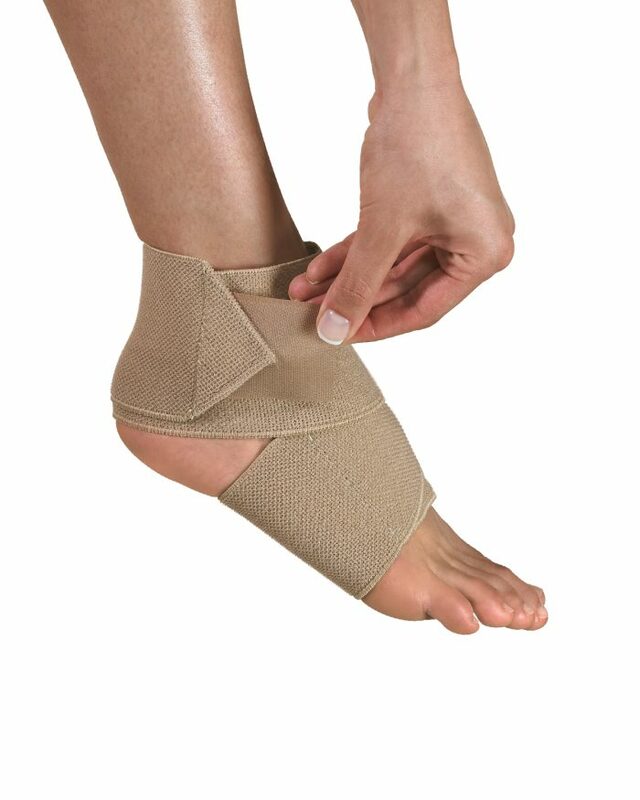 Adjustment : Slip the sleeve on one of the ankle's sides, ensuring that the gel pad is on the malleolus. Remove product at least 3 to 4 hours daily to allow skin to breathe. 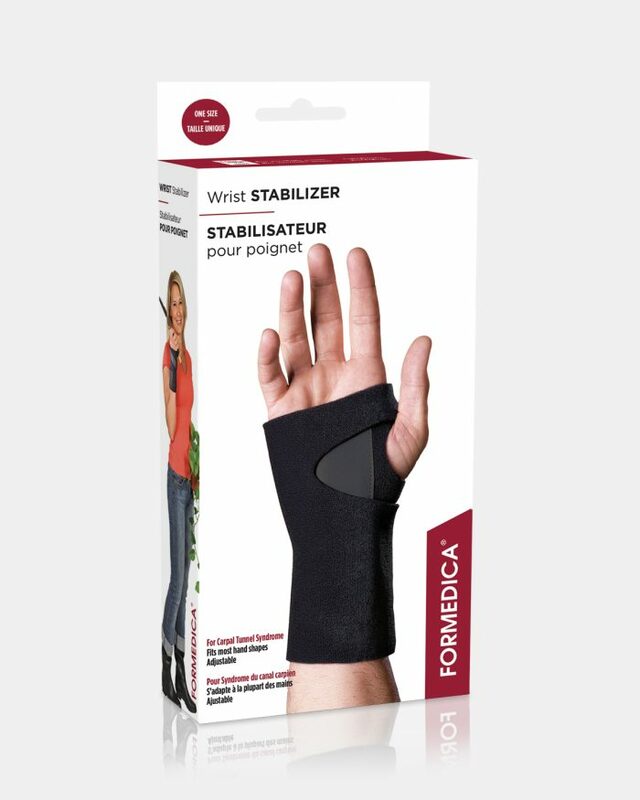 Made of : Non-constructive nylon/lycra fabric. Medical grade mineral oil (USP) that dissipates onto the skin. Latex-free. Cleaning : Wash by hand with mild soap and air dry. Sprinkle with talcum powder when dry. 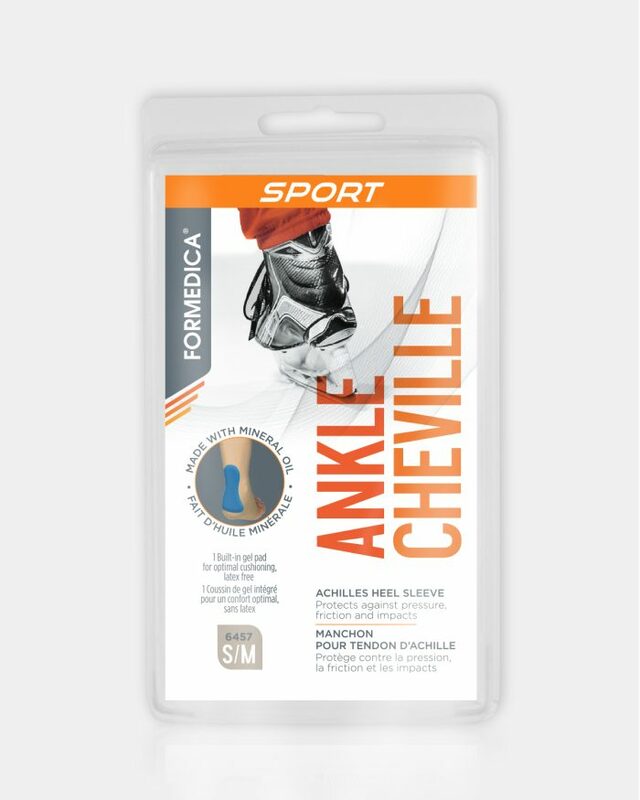 Provides superior support and ankle protection in all sports. 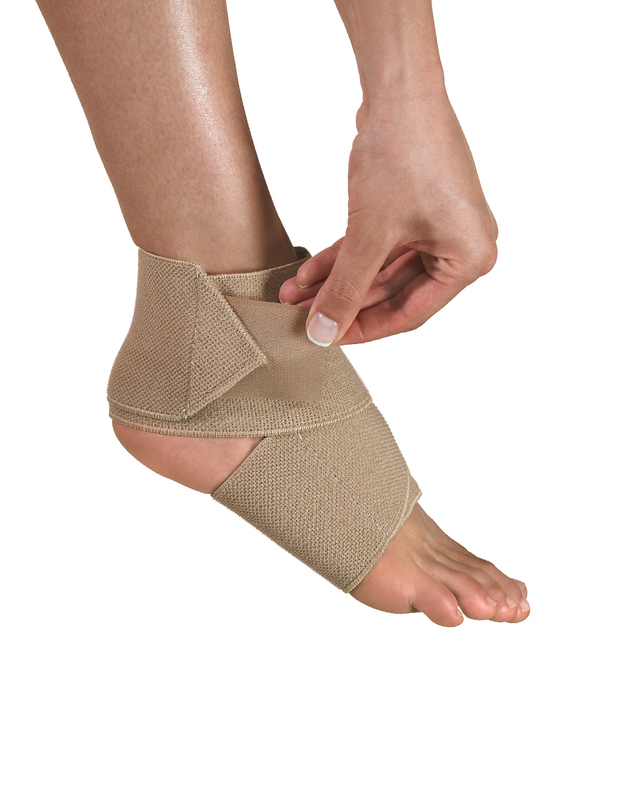 Designed to help prevent ankle injuries while remaining flexible for daily activities. 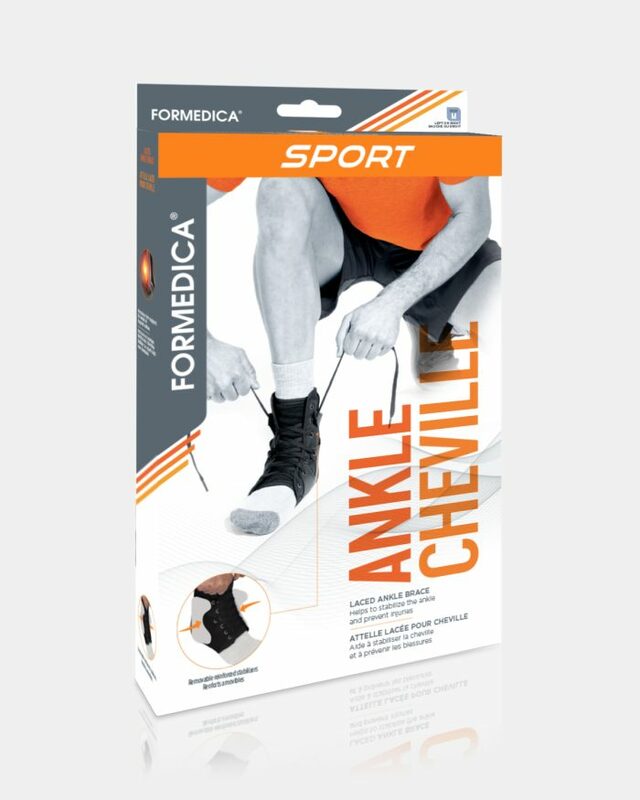 Ideal in the treatment of sprained ankles and can be worn on either foot. 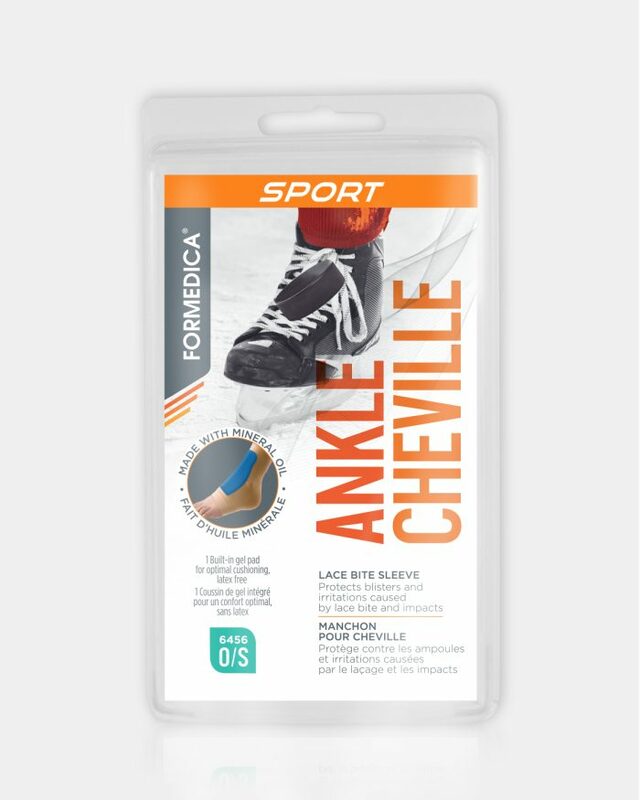 Put on brace and pull laces from bottom eyelets until the brace fits tightly but maintains comfortable. There should be no gap or bulge in the heel cut-out. Wear socks to absorb sweat. 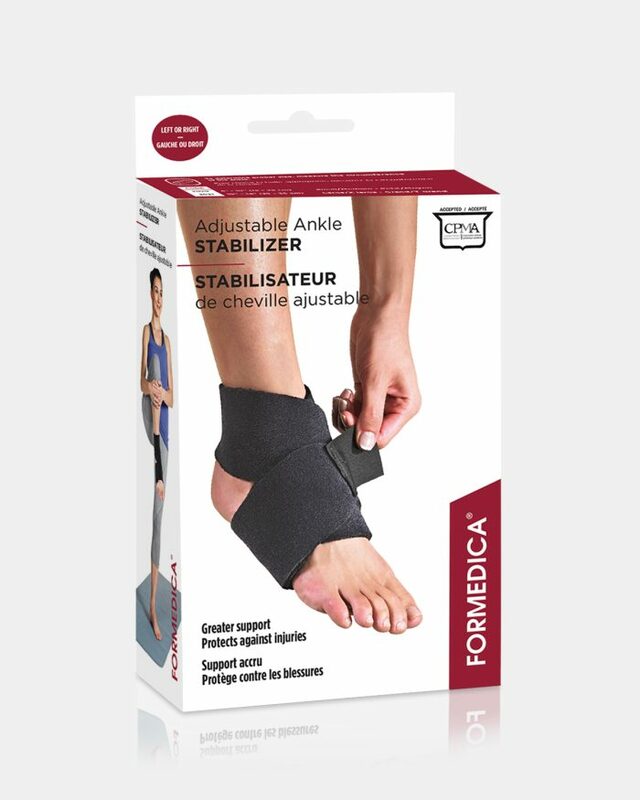 Allow a break-in period of 6 to 8 hours before the brace conforms to the shape of your ankle. If you wear two braces, mark each one as left or right to ensure optimal adjustment. 35% Polyester, 20% Polyurethane, 15% Cotton, 10% Foam, 15% Plastic, 3% Spandex, 2% Copper. Wash by hand with mild soap and air dry. 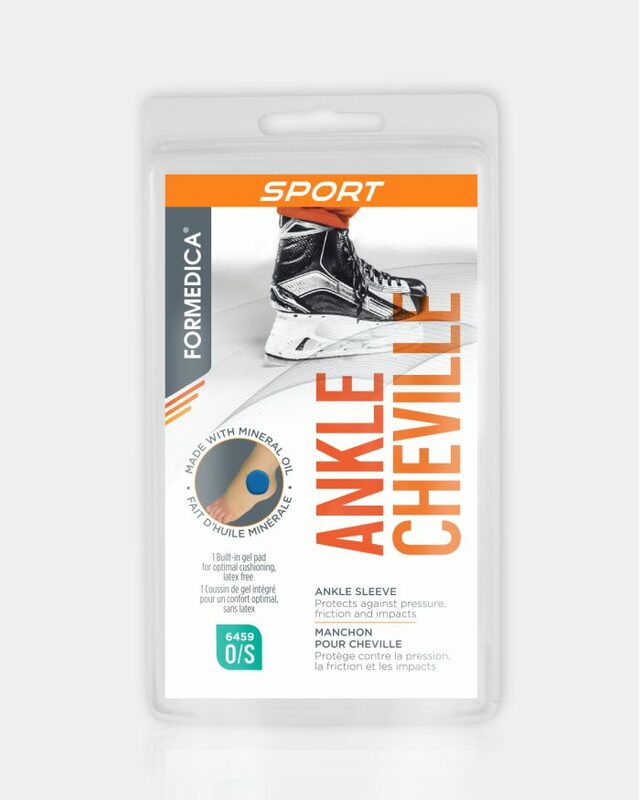 Adjustment : Slip the sleeve on, ensuring that the rectangular pad is under the laces and placed on the front of the ankle. Remove product at least 3 to 4 hours daily to allow skin to breathe. 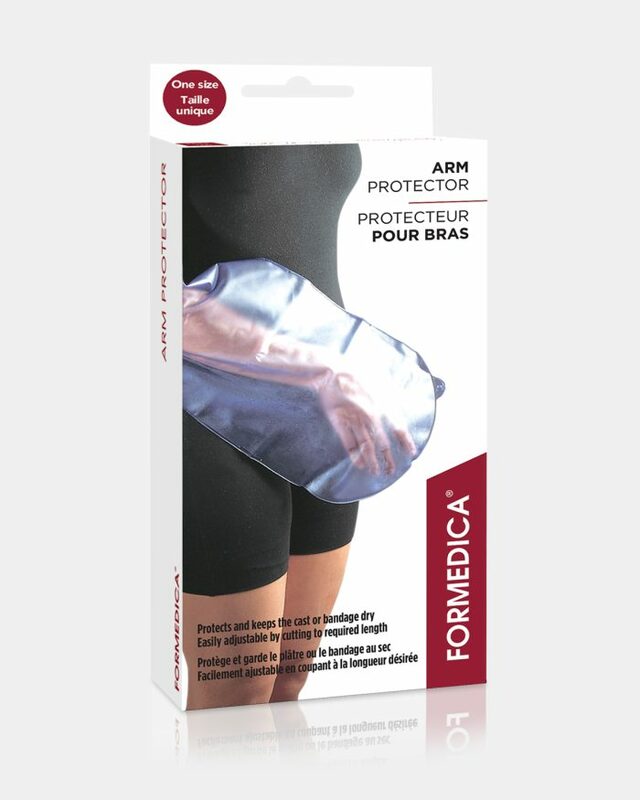 Made of : Non-constructive nylon /lycra fabric. Medical grade mineral oil (USP) that dissipates onto the skin. Will not snag hosiery. Latex-free. Cleaning : Wash by hand with mild soap and air dry. Sprinkle with talcum powder when dry.